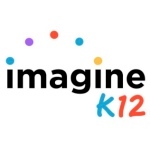 Earlier this month, the education startup incubator ImagineK12 held its second Demo Day, where its latest cohort of startups made their pitches to investors. I pointed to the write-up of Inigral’s Michael Staton in my weekly roundup of ed-tech news, but I realized this past week that I’ve done a particularly lousy job reviewing these latest startups here. I’ve covered Hapara and Instagrok (here and here), but that’s just two out of nine. So I’m resolved to try to cover a few more of these startups over the next few days. And for those keeping score at home, here’s the list from ImagineK12’s first graduating class last fall. Edshelf aims to address problems that I’ve covered here on Hack Education before: there’s a ton of educational content online – websites, apps and the like. But the question remains: how do you find “what works” (and what works on a particular or across multiple platforms)? How do you find high quality resources for specific subjects or specific grades? When it comes to write-ups of education technology, whose reviews do you trust? User-generated reviews range from decidedly unhelpful to incredibly insightful (as anyone who tries to pick a restaurant in a strange city based on Yelp reviews will tell you), and the media's assessments can be equally unreliable (I count myself as part of the problem here too. I'm not a classroom teacher after all). Edshelf hopes to become a go-to site where teachers can recommend to one another what’s worked for them, and it’s building a directory of educational materials that have been reviewed for educators by educators. Apps and websites are reviewed based on student engagement and pedagogical effectiveness, as well as on how hard these tools are to learn. The site encourages users to find and follow colleagues, tapping into the power of social recommendations and personal learning networks. As such, an integration with Twitter and the adoption of that same sort of “follow” mechanism might help teachers find one another on a new site like edshelf. Edshelf also wants to tackle some of the other concerns around the adoption of education technology – beyond just identifying quality content or following social recommendations, that is. 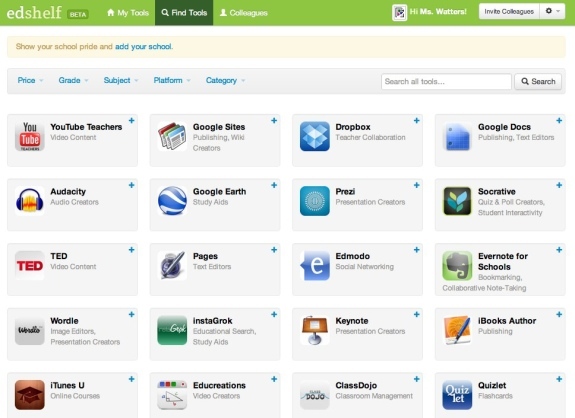 Namely, when these apps or websites cost money, how do teachers pay for them? How do they handle signing students up and signing students on? Edshelf plans to make it easier for teachers to buy and use apps by handling both the purchasing and sign-on processes for them. Edshelf has a number of direct and indirect competitors. Kindertown (which I covered here) provides reviews on educational content written by educators for parents. Edsurge, a weekly newsletter that covers education entpreneurship, recently launched its own review site. I’ve also covered Chalkable, a New York City-based startup that wants to blend the app store with the LMS – part of its value proposition is easier procurement and single sign-on. That’s also what platforms like Edmodo and Google’s Chrome Web Store promise too. And then there’s Apple and iTunes. As those last few examples suggest, there’s an increasing tendency to incorporate the app store into the platform. And while these platforms and stores do have reviews, it's clear that there's a lot of room for improvement there -- particularly when it comes to educational content. As a newly launched startup, edshelf might have an uphill battle to become a reliable site for teachers to turn to for reviews. But it hopes by relying on the teachers themelves to review products, that teachers will find it more trustworthy.